Sorry for our lack of posting these past couple of weeks. We have just been so busy with exams! Only 2 more left so hopefully we will get back into the habit of posting more often again. Apologies aside, I received a parcel today from Hot Key Books via lovereading and I was so excited about it, so I wanted to share it with you guys. 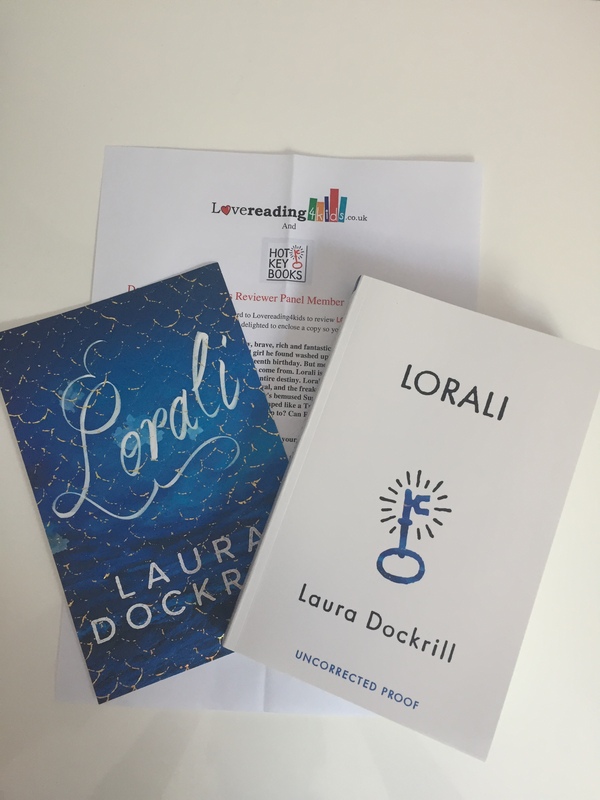 I was so excited when lovereading gave me a chance to review “Lorali” by Laura Dockrill because it was one of the books on my TBR for summer. 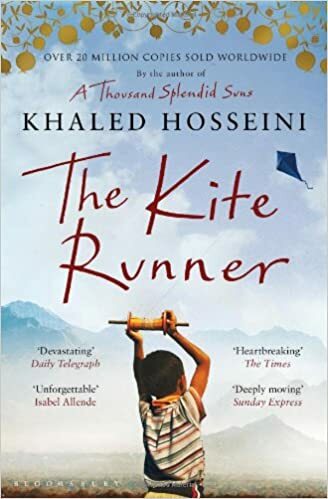 I first heard about this book from booksandquills on YouTube and immediately put the book on my TBR list, so when lovereading gave me the chance to review the uncorrected proof copy I couldn’t turn it down! I wasn’t expecting my parcel so soon, therefore it was a lovely surprise today! 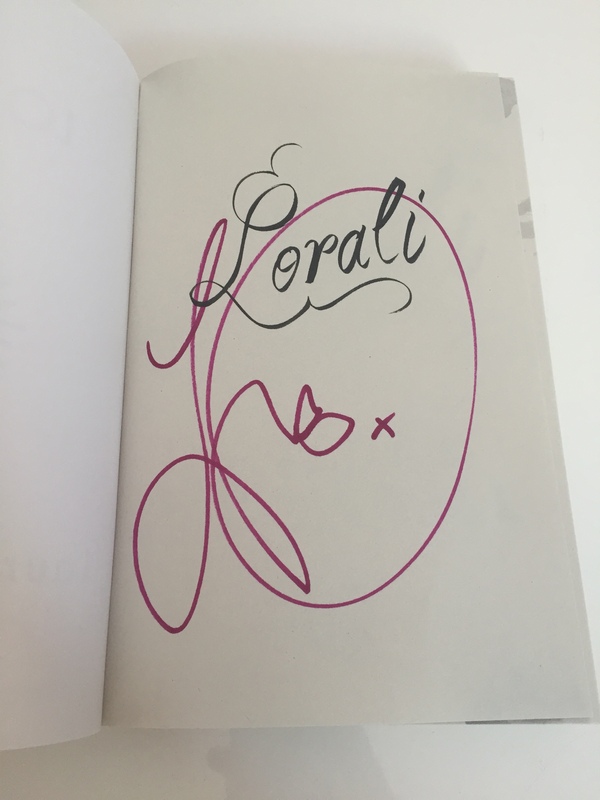 The parcel came with the uncorrected proof copy of “Lorali” and a separate piece of cardboard with the cover artwork on it. I thought this was a lovely touch because proof copies don’t usually have the proper book cover, but now I still have the gorgeous book cover, even if it is separate! And that wasn’t even the best part. I opened the book to the first page and saw that IT WAS SIGNED BY LAURA. AGHHH. WHAT?! It made my day, and was such a special touch to my book, so thank you Laura, Hot Key Books and lovereading! I am so excited to read this book, and you can expect a review very soon, where I will tell you more about the book! 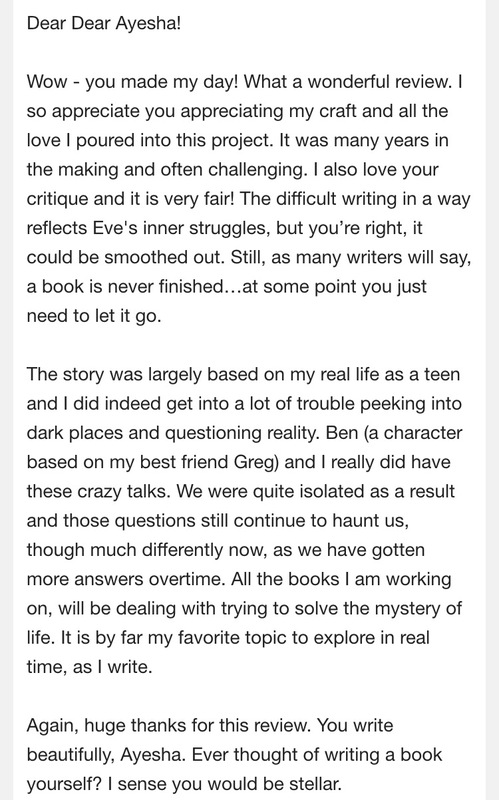 I just wanted to share a lovely email sent to me by Ewa Zwonarz, the author of Moonchild, a book I recently reviewed! It cleared up some criticism I gave about the book, which I honestly loved reading about so I thought I would share the email with you guys! I hope you all have a lovely day!! Hello everyone! 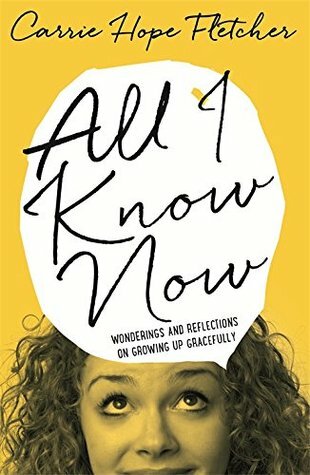 I’m here today with our first ever review from a book we’ve received from an author! Blogging has brought so many new exciting prospects but my favourite is definitely receiving books to review from authors! I just want to thank Ewa for being so lovely and making the process of receiving one of the first books from an author so easy and simple! I received this book in return for an honest review, all opinions are completely my own! 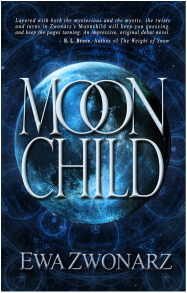 I was drawn to ‘Moonchild’ because the storyline was so unique and different from anything I’ve ever read before. Being completely honest, I found the writing really hard to get into at first. I remember a particular conversation between Eve (the main character) and Ben, a conversation that was supposed to be between two teenagers but I thought it was very unrealistic. However, I am VERY glad I persevered and read on because I ended up loving the story! Once I was in Ewa’s world it was very difficult to get out! Ewa had carefully crafted a story that kept me wanting to know more throughout. There were many twist and turns, especially involving the characters, which definitely kept me on my toes! Her writing captured my mind with new concepts, making this an extremely interesting read. I loved how the story connected our world and a second world full of mystical creatures and myths. The balance was exactly right, and it was so refreshing to read something so different! There was a lot of mythology with Angels and myths embedded into the storyline. The story covered so many themes; the breakdown of modern family life, ancestry, and love, both in the modern and the mystical world. There was also an element of Polish history, and the history of war, as Eve’s granddad fought in the First World War. The story was exactly like a journey, the character development and plot development honestly blew me away! I thought the ending was exactly what was needed as it answered so many of my questions but it was also quite open, and left me wanting to know more! I definitely think there is room for a sequel, which I would love to pick up! All this said, as I’ve mentioned before the book was quite difficult to get into and also a little slow in places. I also had difficulty relating to the main character Eve, I know her personality and story would be an accurate representation of many teenagers lives, but I couldn’t relate to her myself, which led to my love/hate relationship with the main character. Overall, I would definitely recommend this one! I would give a very solid rating of 4/5. I honestly hope Ewa gets all the success she deserves for her book! You can visit Ewa’s website here, to find out more about “Moonchild”, (also there is a playlist created for “Moonchild” on Ewa’s website so go have a listen! ).